By Dr. Dorsey C. Miller Jr. If you are a registered voter, do not sleep the August 28th primary. Yes. The November general election is critical, but your vote next month will determine your choices this fall. That’s the role of the primary elections. It gives voters the chance to narrow the field by selecting one candidate to represent their party for a particular office in November. Florida is a closed primary state. Only registered Democrats and Republicans may cast votes in their parties’ primaries for candidates they want to run in November for a particular office. Independents or voters with no party affiliation cannot participate in party primaries. They can, however, vote in non-partisan contests, like school board and judicial races. With less than a month to go, it’s why you’re seeing a lot of campaign ads on TV, yard signs and mail pieces. The absentee ballots are out and early voting is just around the corner. If you haven’t notice, the campaign season is in full swing. The Florida primary typically draws much fewer people to the polls than the general elections, but that shouldn’t diminish the importance of this year’s primary vote. There’s a lot at stake. For starters, your vote next month will determine who will be the Democratic and Republican candidates running this fall for four of Florida’s top elected posts — governor, attorney general, chief financial officer and agriculture commissioner. Florida can put two Black Democratic candidates on the November ballot, if enough voters support them next month. Andrew Gillum wants to become Florida’s first Black governor and Sean Shaw hopes to make similar history as attorney general. To win in November, they must win on August 28th. The primary also offers choices in congressional races. In Broward County, U.S. Reps. Alcee Hastings, Ted Deutch and Frederica Wilson face primary challengers. There’s also a three-way battle among Republicans to see who will run against Democrat Congresswoman Debbie Wasserman Schultz. There are decisions to be made on local races, too. On August 28th, voters in Broward County will have a say in primary contests for two county commission, one state senate and six state representative seats. The school board races are extremely important as there may be no second bite at the apple in November. If the winning candidates in the five contested school board races get 50 percent or more of the August 28th primary votes they will win and their names won’t appear on the November ballot. Lastly, voters get to choose who they want as judges during the primary elections, not in November. Unfortunately, judicial races typically get overlooked by many voters because of the timing of the vote and the fact that judicial candidates are limited in what they can say and how they campaign. In Broward County, the candidates for five circuit court and five county court races will appear on the ballot. These contests are important, given the power judges exercise over the courts. Oh, and how can I forget this last issue that will be on the August ballot. The Broward County School District is asking voters for a half mill property tax increase to pay for rising instruction and security costs. If the education of our children means anything, the time to vote on it is now, not in the fall. If you’re registered to vote, you don’t have the luxury of waiting until November to vote. Get off the sidelines, do your homework and be prepared to vote strategically this month. 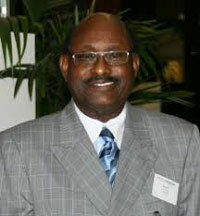 Dr. Dorsey C. Miller Jr. is chairman of the Florida Voter Mobilization Project.